Japan’s approval of the Integrated Resort Bill signals the acceptance of the country for casinos. Whilst, they still have to iron out some aspects of the legislation, it would be good for them to start thinking about the ins and outs of building a casino complex and the casino floor design. The Japanese people are innovative people who can come up with the most stylish yet functional design. Most of the people’s activities nowadays are digitally driven, even when it comes to gaming, making it beneficial for Japanese casinos to integrate electronic table games in their complex if they want to catch up on the trend. In a fast-moving society, land-based casinos are facing a real challenge. How can they attract the number one consumers of today? The Millennials. These individuals are the biggest spenders and they are not easy to convince to spend either. Casinos must double up their strategies if they want millennials to spend their earnings on entertainment. However, these factors should be amped up to bring in more innovative approaches to casino design to make sure that they can lock in on the millennials. Redesigning a casino floor just for millennials alone may be a crazy thing to do but thousands of square feet of casino floor with slot machines and poker tables are not what will bring in more profit for the casino as these individuals no longer play machines. 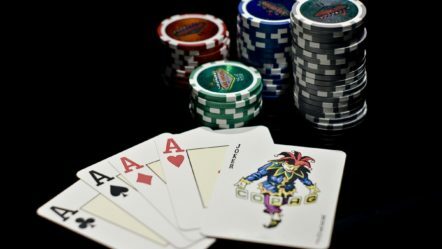 Yes, they still go to casinos but most of them spend their money more on nightclubs often headlined by world-renowned musicians, DJs, and performers. Millennials live in a social generation. These individuals are the first ones to adopt the revolution of social media, which greatly changed communication, marketing, advertising, and commerce all in all. These individuals know the importance of staying connected to their social circles through their mobile devices. As such, they are the ones who put great value on creativity, reality, uniqueness, and engagement. They are also the ones always questioning whether corporations are using them for their profit. So designing a casino that depicts uniqueness, engagement, societal awareness, and creativity are what will pique their interests. Japanese casinos will have the advantage of creating this landscape. They can focus on having a human-centered design of their casino floors to make sure that they can tap on the millennial market. Many casino enthusiasts turn their interests in digital online media for entertainment. This results in more land-based casino giving much more floor space for electronic table games (ETG) and multiple station games. Casino operators must make sure that their technology can deliver shared gaming experiences that they cannot get whilst playing on a desktop or mobile device since mobile and online casino is their most competitive rivals. Global casino markets are now carefully looking at incorporating these ETGs and multi-station games to up their market share of gamblers. This is after a careful assessment of the current wants of casino customers looking for novel types of entertainment and gaming that give them excitement and renewed energy – both can be achieved by playing in community multi-station games. Skill-based games are also big on millennials. One example of a community multiple station game is the Titan 360 machine. It has a physical ball-drop center bonus unit, which circles around among the players to win cash prizes and jackpots. Another multi-game innovation introduced in casinos is the Fortune Cup, a mechanical horse racing game combining a mechanical track with an individual touch-screen betting areas and overhead screens that display the actual video animation of the race itself. Fortune Cup boasts of digital enhancements like the advanced betting features that separate it from other mechanical horseracing games. Another thing they can incorporate into their casinos is the building of an eSports arena. The game is rapidly catching on Asia with countries like Korea and Thailand spearheading the revolution. They can follow on MGM’s move of opening a 30,000 square foot E-Sports Arena at Luxor. Building an eSports lounge in a casino complex can take advantage of the exploding competitive computer-based gaming trend, especially that many clamour for it to be included in the Olympics. An additional innovation that these casinos can incorporate includes skill-based virtual reality games where players can competitively play against their peers or other casino goers. Millennials are a competitive bunch and tapping into their need to win against another individual will fuel their interest into going back into casinos because they will no longer feel that casinos are robbing them off of their money but rather giving them entertainment options that they did not know they needed. These innovations have the social element and appeal that many are craving for when they gamble. Casinos will also benefit from investing in research on a human-centered design of a casino floor. Human-centered design focuses on finding out the deeper values of the customer and feeding their latent needs. It is important for millennials to gamble in an environment they can interact positively. In fact, it would be best to design a casino floor with its own persona that these individuals would feel comfortable hanging out with. By using technology, casinos of today can introduce novel forms of ETGs and innovative creations. In cases of stadium concepts with an infusion of entertainment, casinos can cater to more customers with varying interests. Existing casinos can use this to improve the proven products currently in place in their casinos. Infusing new technology can open new channels of revenue they did not know they can maximise. They can cater to new demographics whilst retaining old players and pushing them to visit casinos more steadily and increasing total monthly spending. ETGs can welcome new players. Previous research shows a growing momentum towards table games in gamblers less than 40 years old. ETG players have the same momentum. Traditional slot players are also willing to give these ETGs a try but are often intimidated. Group play allows them to be more welcome in trying it out because they in a company of peers. Designing a stadium to be more player friendly can entice more players to try the tables. Electronic gaming tables have several advantages that casino operators are banking on to increase their profit or income. ETGs are widely accepted by a larger demographic because they tremendously speed up the play, eliminate potential security risk, provides an opportunity for better bonuses for patrons, afford casino operators lesser overhead expenses, and does not rely on reduced staff turnover. By tradition, casino gaming floor designs are in segments that seem to cave in customers and somehow alienates them from the outside world. Experts agree that the best way to come up with a design is to thoroughly consider human relationships and psyche. Regulatory and technological advancements must be in place to consider putting up skill-based casino games and link with mobile applications. Japanese casinos should consider a casino floor design that is more open and communal. They would also do great if they can provide lounges and eliminate other secluded areas to attract more millennials. One example is TopGolf, specifically built to cater to millennials. The place offers everything in one place, like a one-stop shop. It has a nightclub, restaurant, lounge, recreational center, and driving range. The place has an upbeat vibe to it – lively conversations, golf clubs hitting golf balls, and energetic music vibrating through the open layout. The game is even made more millennial-friendly, with games played in groups of 6 like a bowling experience. Guests can take turns in hitting the ball, with a modified micro-chip, toward lighted targets located in the outfield. Newbie and experienced golfers love the idea of having a “smart golf ball” that allows them to track their progress easily. TopGolf’s layout is open with hitting bays having ample spaces that allow groups to interact with each other. When the hitting bays gets too crowded, guests can explore other areas of the community. The restaurant of the entertainment complex even has an open kitchen, spelling transparency and honesty, which are deeply valued by millennials.